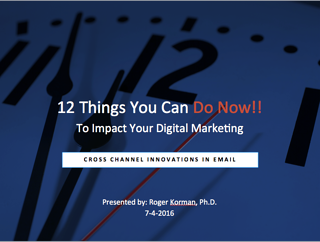 12 marketing ideas healthcare can implement today. Listen to the webcast on the influence an authenticated email database can have on targeting, message delivery, campaign ROI and more. If you're deploying emails on Tuesdays, like the rest of the healthcare universe, do you think that's the smartest strategy?